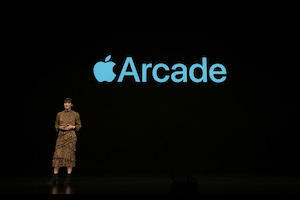 Apple Arcade et al - threat to LBE? As the juggernaut that is technological advancement rumbles onward, so do the options for consumers’ leisure dollar/pound/Euro. At a time when location based entertainment is having to do its utmost to combat the lure of at-home alternatives, a report in the Financial Times reveals that the US tech giant is investing US$500m in its Apple Arcade launch. This comes only weeks after Google announced its own subscription-based gaming service, Stadia. Now while the two services seem quite different, Google’s is touted to be a cloud-based affair, offering AAA games in a bid to lure folk away from consoles and the Apple Arcade will more than likely feature mobile games akin to the wildly popular Candy Crush, they will nonetheless give players another reason to stay home and not visit their local FEC/arcadebar/VR venue. Or will they? The numbers being bandied around are serious ones: billions of dollars being brandished by the biggest tech companies in the world is not a threat to be taken lightly but surely the LBE industry has got more than enough in its locker to compete and continue to thrive? Google’s Stadia is going to be reliant at least 25Mbps download speeds something which most outside of urban areas in developed areas just don’t receive and 5G, despite the fervent claims of carriers, is nowhere in sight just yet and won’t be for Stadia’s proposed 2019 launch. LBE has been on fire of late with many stunning locations opening across the world, whetting the already ravenous appetite for experiential entertainment and it doesn’t show any signs of abating. Whether Stadia or Apple Arcade will succeed or become 2019’s Nintendo U remains to be seen, but it does serve as a stark reminder that we in the arcade/FEC/LBE sector need to stay on the ball, if not several paces ahead of it.